After the bands Corporal Punishment and Illegal Gathering broke up, James Phillips went on to form the Cherry Faced Lurchers. Phillips had decided to leave Rhodes University to complete his degree at the University of the Witwatersrand. In Johannesburg, he reconnected with Lee Edwards who he had met while living in Grahamstown. 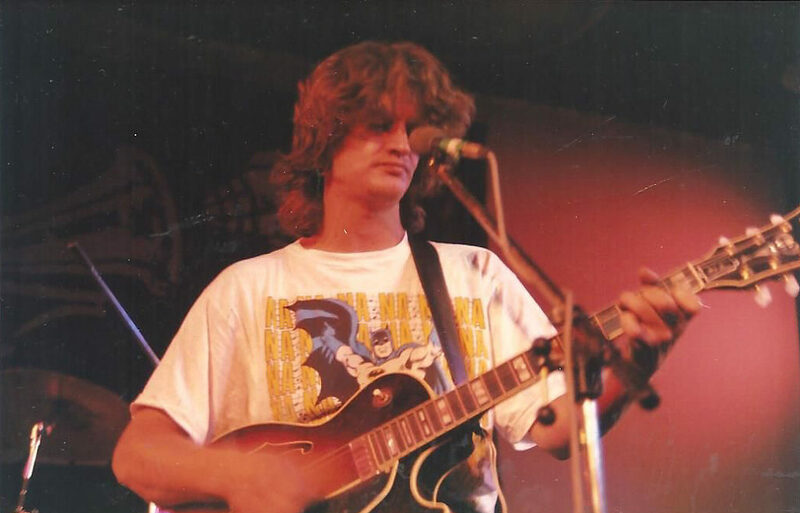 In the interim, Mike de la Hunt and André “Van” van Niekerk and Edwards had formed a group called The Worst Blues Band in the World. They begged Phillips to join the band and eventually he did. When van Niekerk left to join the Softies, the remaining members changed the name of their band to the Cherry Faced Lurchers (de Waal, 2002). 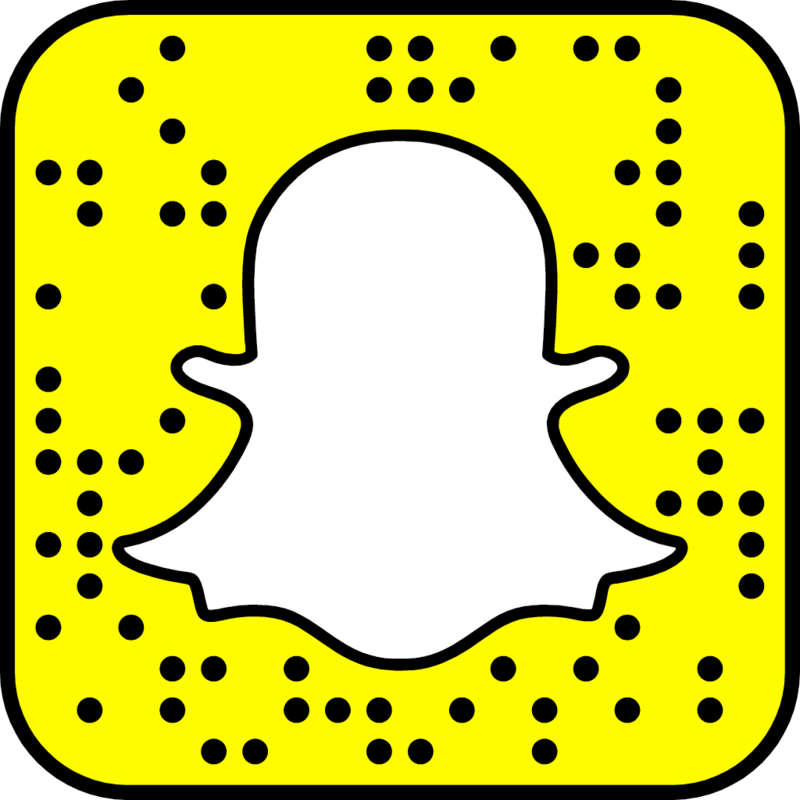 The new name was inspired by de la Hunt’s antics and appearance when he was drunk. Too much alcohol would make his cheeks flush a deep red and produce a distinctive stagger, this combination inspired James Phillips to come up with the band’s name (Leeman, 2015). James Phillips. Photo Credit Donald Ferguson. The Cherry Faced Lurchers played the 1983 Free Peoples Concert when Hotline, who were meant to be the headline act, did not show up. Sometime after this concert de la Hunt was asked to leave the band and his place on drums was taken by Richard Frost. The band got to work writing new songs and also managed to lock in regular gigs at Jameson’s. Jameson’s was an anomaly in apartheid South Africa. Because the boer President, Paul Kruger had granted Jameson’s a liquor licence at the turn of the twentieth century, it was permitted to serve alcohol to all races, whilst in the rest of the country strict separation of the races was in place. 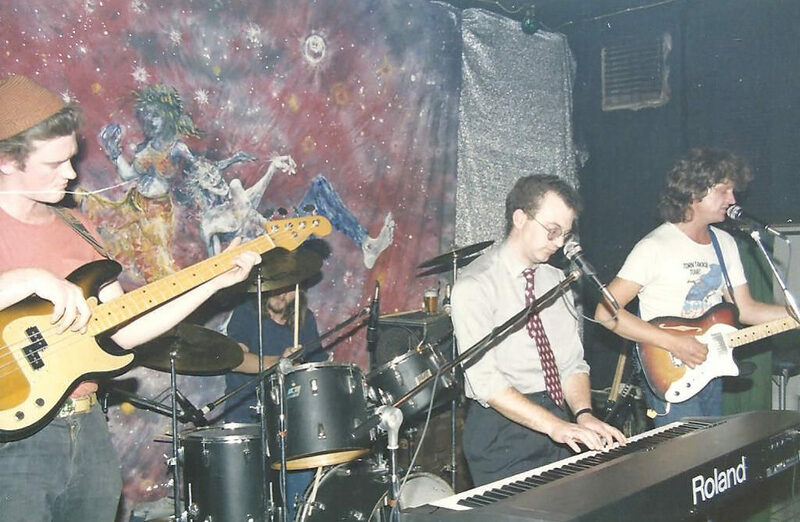 Thanks to their performances, the Cherry Faced Lurchers attained legendary status during their residency at Jameson’s. In 1985, one of their concerts was recorded buy it here. Cherry Faced Lurchers performing live. Photo Credit Donald Ferguson. 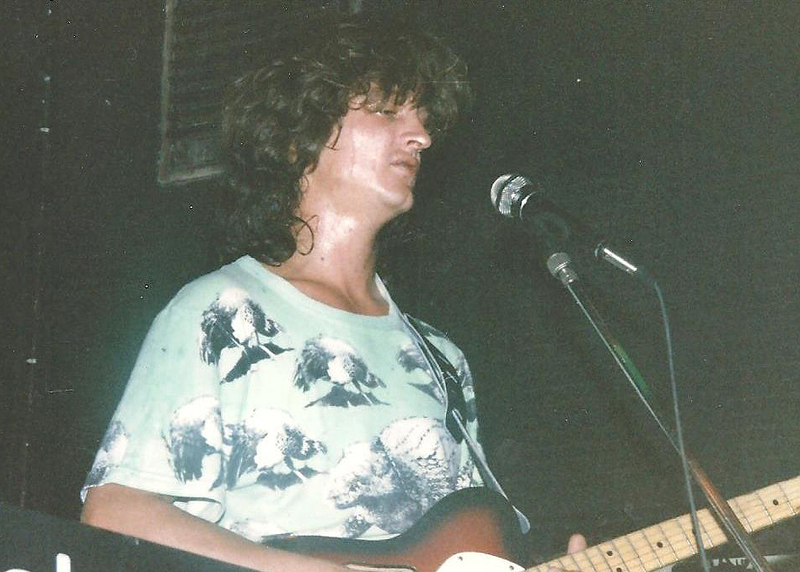 In 1986, Mark Bennett joined the Lurchers as a keyboard player. Bennett and Phillips had matriculated from Springs Boys High School in 1975. The two had been friends from the age of 16 and were in the school choir together, where they took part in productions of Gilbert & Sullivan. Phillips played in the orchestra when the school performed the musical, Oklahoma. Bennett’s parents and Phillips’s mother had been members of the Springs Operatic Society. Before Joining the Lurchers, Mark Bennett was a member of the Softies who had a hit with their song, Mission to Cairo watch it here. Look out for a very young Jannie “Hanepoot” van Tonder, who would later play in the Gereformeerde Blues Band, on trombone in the video! James Phillips performing with the Cherry Faced Lurchers. Photo Credit Donald Ferguson. In 2014, the Sunday Times compiled a list of the 100 greatest South African songs. Shot Down came in at number 28. See the 100 Greatest SA Songs here. 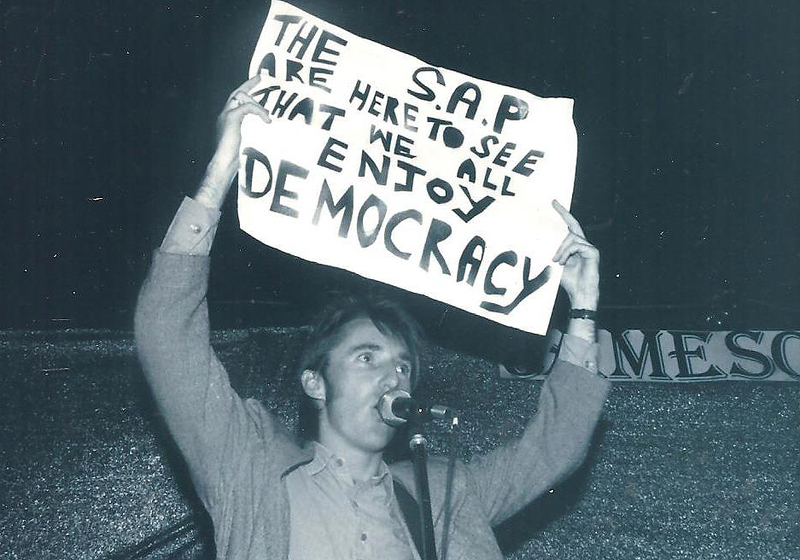 Warrick Sony of the Kalahari Surfers holds up a sign at gig at Jameson’s on 10th September 1988. Photo Credit Donald Ferguson. After the Voëlvry tour in 1989, during which Phillips performed as his alter ego, Bernoldus Niemand, the Cherry Faced Lurchers underwent some personnel changes and eventually became known simply as The Lurchers. The band released the album Sunny Skies in 1994. At that stage, Phillips and Edwards were the only remaining members of the original band. On the album they were joined by Lloyd Martin, Paul Hanmer and Willem Möller. Watch the Cherry Faced Lurchers live in concert. Story taken from various sources as per credits-contact me if you want specific details. Kudos to the photographers who documented this period of South African history. Pearles and swine was always my favourite, love the guitar solo! Mark Bennett had played in Corporal Punishment with James. I have been trying to track down a recording of the James Phillips Benifit concert. It was played on Radio 5 so I was wondering if there might be a copy floating around incyber space or prehaps someone could point me in the right direction.